Sky Vegetables develops and operates urban hydroponic rooftop farms as part of its mission to grow fresh and local produce sustainably. Sky Vegetables and its produce are pesticide-free. 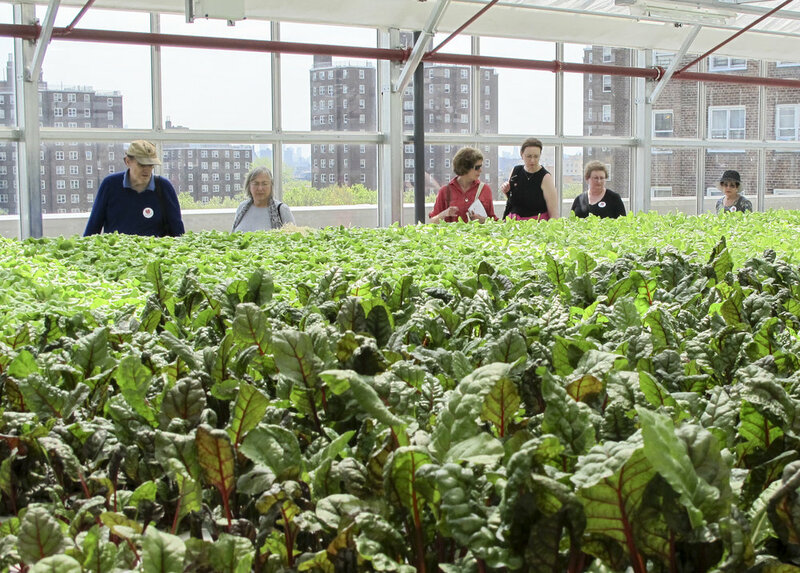 Sky currently operates an ~8,000 sf rooftop farm in the Bronx, twenty minutes from Manhattan. The Bronx farm is situated on top of a LEED Platinum certified building, employs local residents, and already has distribution to many local and national supermarkets. The Bronx greenhouse has grown arugula, ruby chard, butterhead lettuce, bok choy, and herbs. Currently the greenhouse is producing year-round local basil. Sky Vegetables wants to scale their building-integrated agriculture concept to other rooftop farms in New York City and beyond. Sky has received significant media attention both on local news channels, Agritecture.com and in Modern Farmer. Our Bronx greenhouse is currently being operated in partnership with Agritecture Consulting. You can learn more about the benefits of hydroponics, local food, and integrating agriculture into buildings on our website below. ♦ Fresh and tastes delicious! The current U.S. agriculture system is not sustainable: it faces loss of land to development, soil erosion, and water shortages. In addition, U.S. agriculture is a major contributor to global warming. Sky Vegetables reduces food miles from thousands to under 50 miles. Our first farm sits on an affordable housing site in a Platinum LEED Certified & NAHB Green Certified building. The Bronx, NYC rooftop greenhouse was developed in partnership with NYC Dept. of Housing, Preservation & Develop, NYC Housing Authority, NYC Housing Development Corp, and NYSERDA. Sky Vegetables uses hydroponic farming methods to grow more food using less water than open field agriculture. Recycled rainwater is used to irrigate crops in a recirculating system. We hire some neighborhood residents to staff the greenhouse and engage our local community. We sell our produce to the local NYC market and our customers love it. We are SNAP and WIC certified and accept EBT cards.